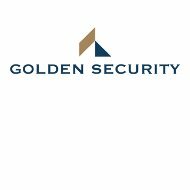 This Golden Security Health Insurance Company review will focus on The Golden Security Insurance Company, also known as GSI. It is a member of Tennessee’s Blue Cross Blue Shield. The mission of Golden Security Insurance is to obtain Medicaid business in other states besides Tennessee. The company has been around since 1945 and is considered the healthcare leader in the state by having a 40% share in the market. If you would like to look at health insurance rates for this company or others in your area just fill in your zip code in the space provided below. TennCare is Tennessee’s waiver program for Medicaid. TennCare makes health care available for over 1.2 million individuals in Tennessee. TennCare has demonstrated that a Medicaid program can be organized in a state as managed care and produce sufficient savings. These savings can result in extending coverage to other populations that previously were not eligible for Medicaid. TennCare began in 1994 and is the only program of its kind in the nation to have the entire state Medicaid population enrolled in managed care. Golden State Insurance, through Blue Cross Blue Shield, is the biggest managed care organization for TennCare. Along with the traditional medical benefits, members have access to Well + Wise, which helps employees control costs and live healthier. Well + Wise includes health coaching services and wellness programs, as well as care continuum. For those who are self-employed, do not have a plan sponsored by an employer, close to retirement, or are in a particular life stage, an individual health insurance plan is a good idea. Golden Security offers both traditional provider organization plans and high deductible plans. The traditional plans come with a variety of deductible levels and have fixed costs such as prescription drug and office visit copays. The high deductible plans work with a Health Savings Account and have lower monthly premiums. Golden Security also offers short-term health coverage for individuals who are between traditional plans, whether you just graduated or are between jobs. A short-term plan offers a variety of benefits. You can choose your deductible and the number of months of coverage. You also have acceptance worldwide and claims filing with no hassle. If you are getting close to retirement, you have access to Medicare through Blue Cross Blue Shield of Tennessee. It offers Medicare Supplement plans, Medicare Part D prescription drug plans, and Medicare Advantage. Blue Elite is traditional insurance coverage for Medicare Supplement coverage, Blue Rx is for prescription drugs, and Blue Advantage is alternative coverage to Part A & B of Medicare. Because Golden Security is a part of Blue Cross Blue Shield of Tennessee, it is able to offer access to their online health tools section. This includes a number of tools to help with questions you may have and ways to manage your health. If you would like to compare health insurance rates for this company and others in your local area, all you need to do is fill in your zip code in the space provided and you will get immediate results.